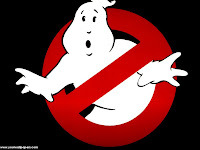 The Wort Report: A Ghostbusters Announcement at Comic Con? I came across this interesting tidbit on /film this week. Apparently, Sony Pictures is gearing up for a Ghostbusters-related announcement at this year's Comic Con in San Diego. While we already know plenty about the upcoming multiplatform Ghostbusters video game, this announcement could be any number of things. It could be something as mundane as Blu-ray releases of the first two movies or a new line of comic books or other merchandise, but I'm hoping for something a bit more substantial. The /film report speculates that this announcement may concern a Ghostbusters 3, which would finally adapt that "Ghostbusters in Hell" idea that's been circulating for years. Of course, this film would most likely either be animated or would feature an entirely new team of Ghostbusters under the tutelage of our favorite paranormal investigators.